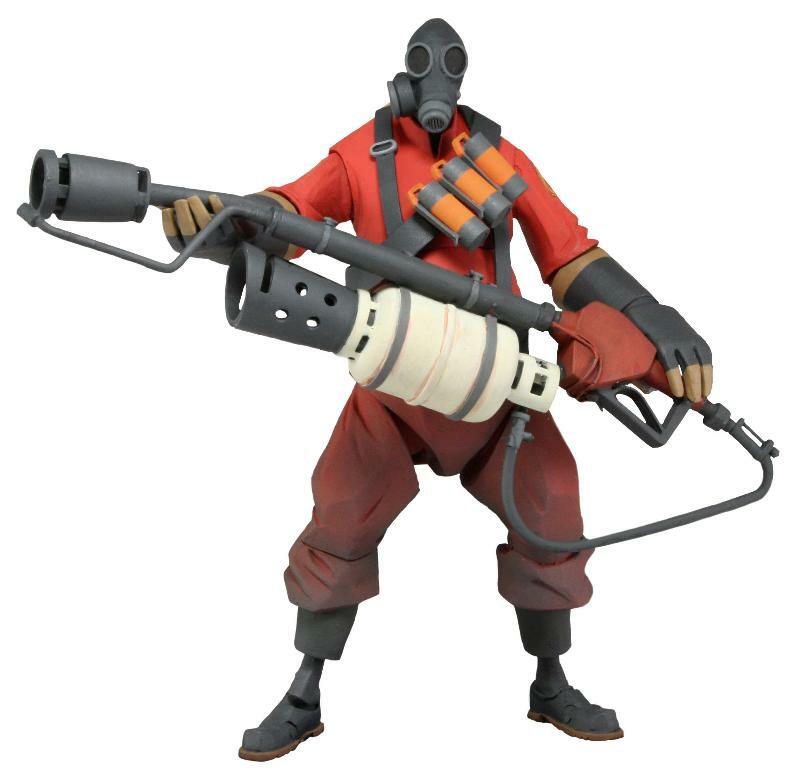 From one of the best selling and most successful games in the Valve library – comes this collection of detailed action figures faithful to the animated look of the characters. The figures stand over 6.5″ tall and feature over 25 points of articulation and include their signature in game weapons and accessories. 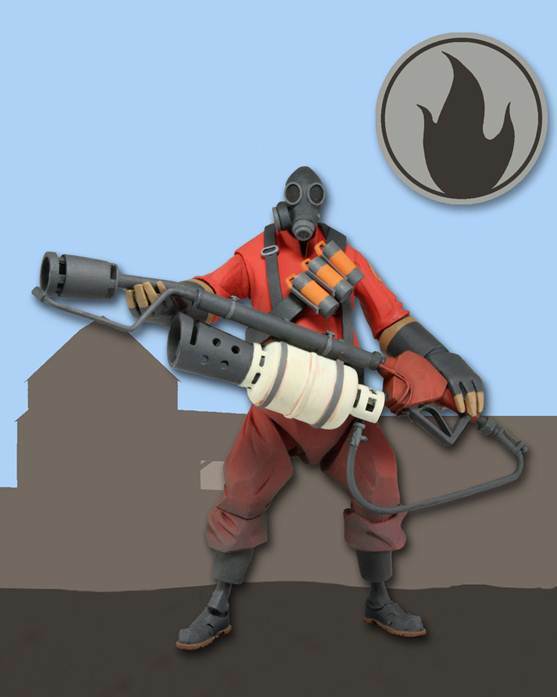 Pyro and Demoman are the first 2 characters in this new collection and include flamethrower and grenade launchers respectively.